Home » Community Safety » It is your last chance to book tickets for the Love Instead of Hate Conference! It is your last chance to book tickets for the Love Instead of Hate Conference! 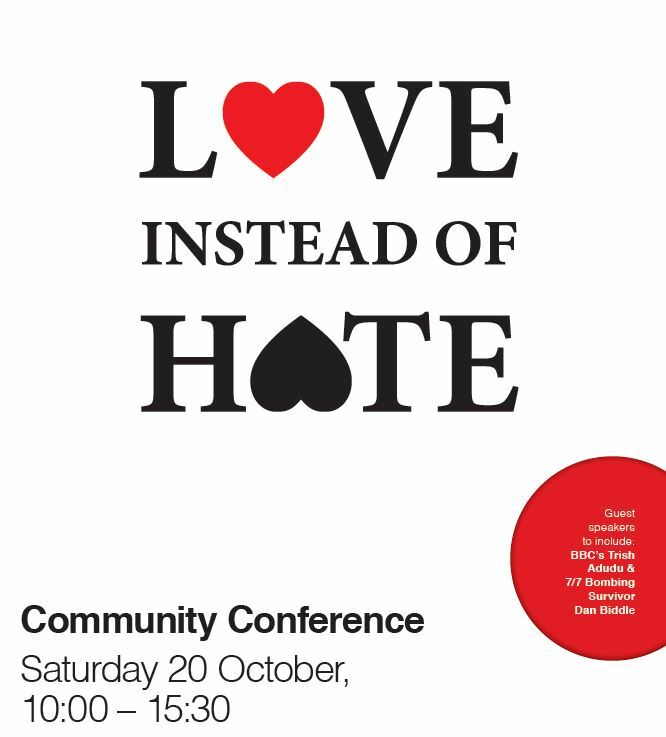 There in only 10 days to go until the Love Instead of Hate Conference on Saturday 20th October. Trish Adudu – Trish is a well-known BBC Coventry & Warwickshire radio host and TV presenter on shows that include The One Show and BBC Midlands Today. Trish has been a victim of hate crime and has spoken widely about her experience. She has kindly agreed to act as the host for the Conference. Caroline Paige – In 1999 Caroline became the first transgender officer to transition and serve openly in the UK military. Caroline’s service career and personal life have both seen more than their fair share of challenge, but she has won through and risen above her critics. Caroline now talks about her personal experiences and is a champion for diversity and equality. As well as listening to some truly inspirational people at the Conference, there will also be the opportunity for adults and children to take part in some interactive workshops. For children, there will be workshops and activities supervised and run by Victim Support. The sessions will celebrate difference and involve some games and art. We have also invited a local rap artist to be a part of the event. 17 year-old Alan Lloyd will be performing a hate crime track called “Hate Crime FREEstyle” which has been written by PC Steve Crowshaw.